Yorkshire Knee Clinic’s Prof. Nick London has been involved in the development of a brand new partial knee resurfacing / replacement implant. Up to 50% of the people who visit Yorkshire Knee Clinic with symptoms bad enough to warrant some form of knee replacement are suited to a partial knee. These are patients who have wear on one side of the knee (as opposed to having wear on both sides of the knee, which will require a total knee replacement). Over recent years, and wherever suitable, partial knee resurfacing has become a popular option with knee surgeons and patients, because recovery times tend to be quicker (as the surgery itself is simpler) and recovery tends to be more complete than with total knee replacements. In addition the major risks of surgery are substantially reduced. Now, a new partial knee implant is set to improve the picture still further. 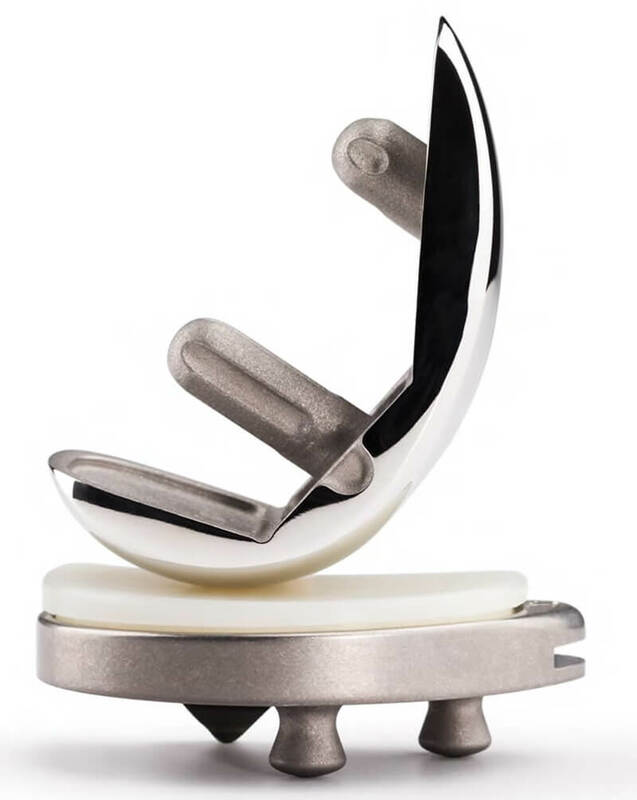 The Persona Partial Knee (PPK) was developed by Zimmer Biomet and launched in Rome recently. You can find out more about the launch event in this post. 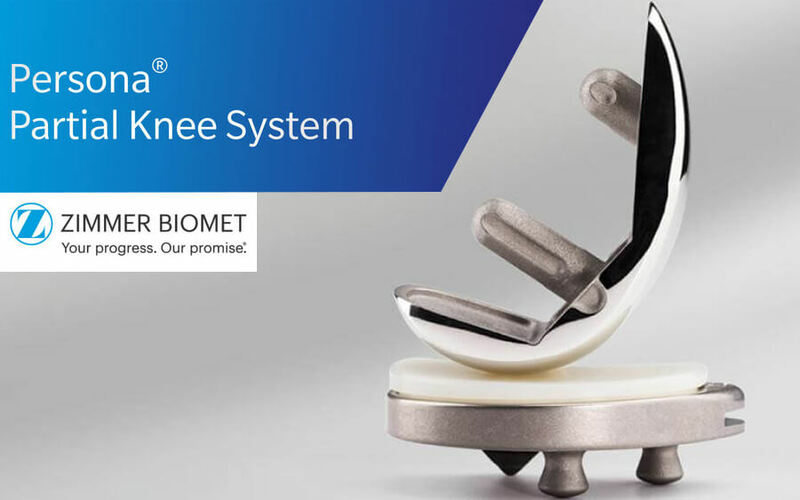 Yorkshire Knee Clinic’s Nick London had been working with a team from Zimmer (the company behind the eponymous walking frame) on the development of the new partial knee for a year when the organisation merged with Biomet. The merger brought together much of the worldwide expertise on knee replacement and Nick continued to work as part of the development team of around 10 surgeons plus designers, predominantly in the US and also in Europe. After a further two years of development, the new implant can now offer a wide range of benefits over the previous state of the art. New shaping and a greater range of sizes enable knee surgeons to very precisely match an implant to a patient. Vitamin E-blended polyethylene should reduce implant wear, potentially extending the life of partial knee replacements far beyond the current 10 to 20 years at which they can show signs of deterioration. New instrumentation and training have also been introduced, enabling new and less experienced surgeons to enjoy results equivalent to those delivered by high volume, experienced knee surgeons. The team began implanting the PPK into patients and evaluating its performance during early 2017. So far more than 1,000 partial knee replacements have been completed using the new implant, with Nick London having completed around 70 of those procedures in Harrogate and at the Yorkshire Knee Clinic. Early results have been excellent, and evaluation will continue for years. We’ve also entered patients into a worldwide monitoring scheme which involves around 40 centres in the US and Europe. Each participating surgeon is implanting around 40 replacements as part of the ongoing study. As you might expect, evaluation of any new medical product is of critical importance. Research teams (that is, clinical practitioners independent of the manufacturing company) will typically follow patients pre-op, post-op, then at 3 month, 6 month, 2 year, 5yr etc intervals. One of the most important measures in any evaluation is the PROMS score. These Patient Reported Outcome Measures used to be relatively basic, simply assessing a patient’s ability to return to everyday activities. But as partial knee resurfacing techniques (and their outcomes) have improved, we now use far more searching PROMS scoring systems, including the wonderfully named ‘forgotten joint score’. As the term suggests, this is a measure of how successful a knee replacement has been, with its highest rating reserved for an implant so successful the patient forgets they’ve had it. The very existence of a forgotten joint score is a measure of just how far partial knee replacements have come. Now, the new Persona Partial Knee is set to take them further still. If you are experiencing knee pain and want access to the latest medical innovations, talk to the consultants of Yorkshire Knee Clinic.